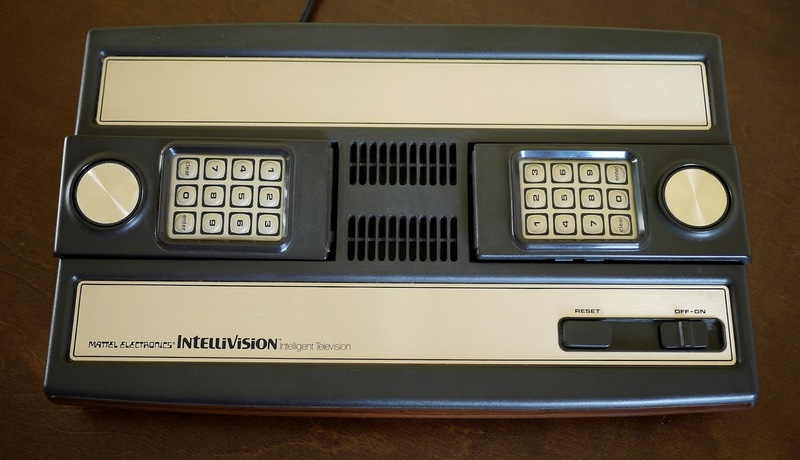 The Intellivision from Mattel Electronics was test marketed in 1979 and officially launched in 1980 at a retail price of $299.99. More powerful than an Atari 2600 but with less arcade game ports, Mattel's console has unique game controllers that set it apart from other gaming systems available at the time. Each controller features a disc for in-game movement, four side buttons, and a keypad with 12 buttons. 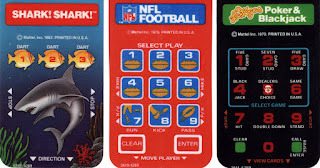 Many games include an overlay that slides into the top of a controller and rests over the keypad labeling what each side and keypad button does for the game being played. The controllers are also attached to the console and cannot be removed without first taking apart the system. Controller overlays for three Intellivision games. An Intellivision II was released in 1982 for about $150 that is made of white plastic, smaller than the original, has flat keypad buttons, and detachable controllers. 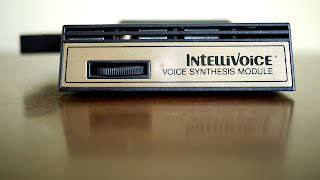 While an Intellivision III was planned that would have wireless controllers and the Intellivoice unit built-in, it never reached the prototype stage. 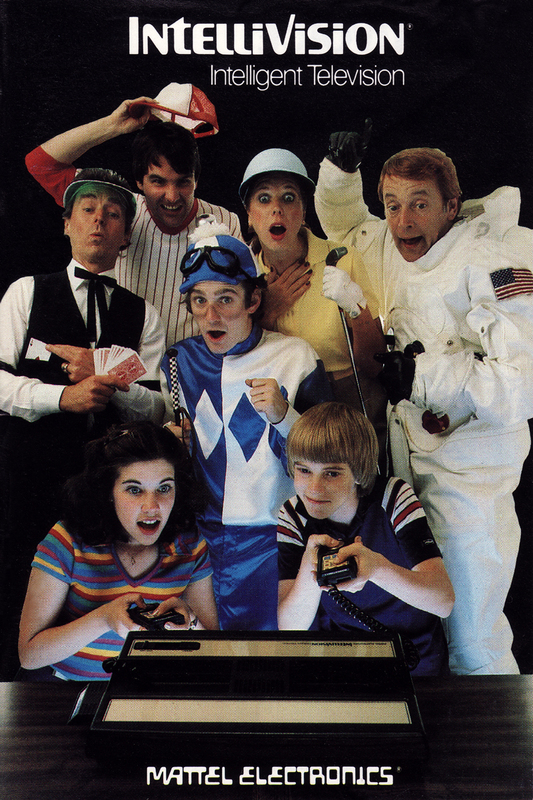 A few add-on components were released by Mattel that include a computer keyboard, music keyboard, printer, a module that allows Atari 2600 games to be played on an Intellivision, and the aforementioned Intellivoice. 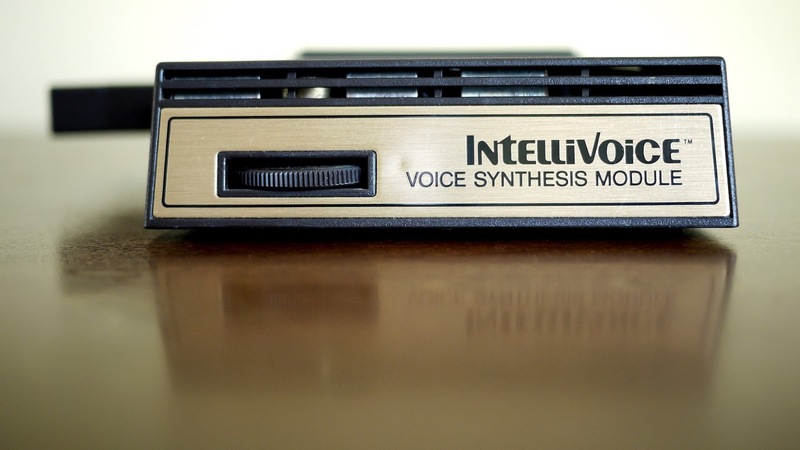 The Intellivoice is a speech-synthesis unit that released in 1982 for approximately $70. 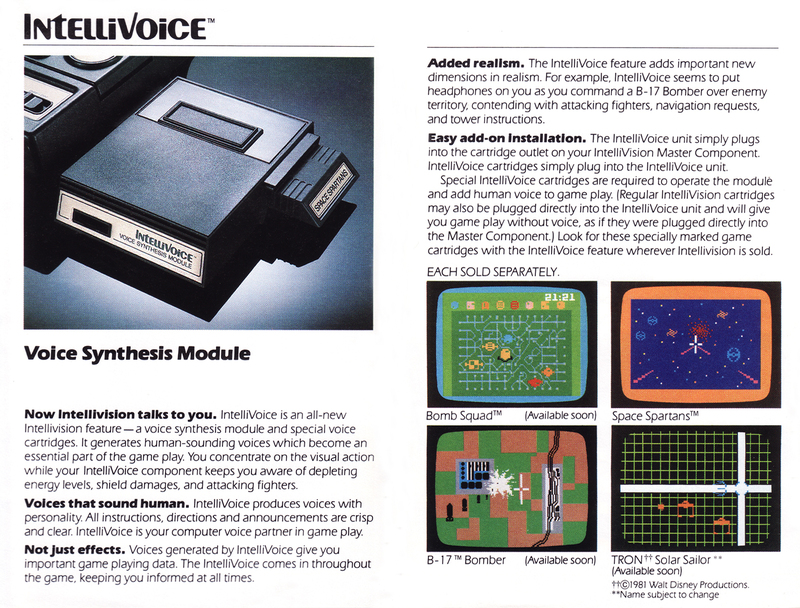 Four games were released specifically for the Intellivoice and one other game is enhanced by it. Both Radio Shack's Tandyvision One and the Sears' Super Video Arcade also play Intellivision games. 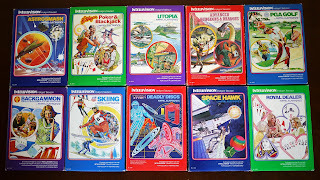 Sears released many Intellivision games in its own Sears Tele-Games packaging as well. 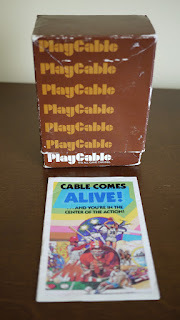 One other way to play Intellivision games was through a cable television network using the game console and a PlayCable adapter. Mattel worked with General Instrument to create the adapter that released in limited markets in 1981. By signing up for the service consumers rented the adapter and could play games without owning any cartridges by streaming games directly from their cable provider. 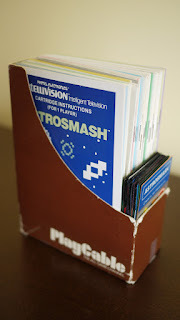 Game manuals and overlays were included with the service and as new games were released the documentation would be mailed to subscribers. 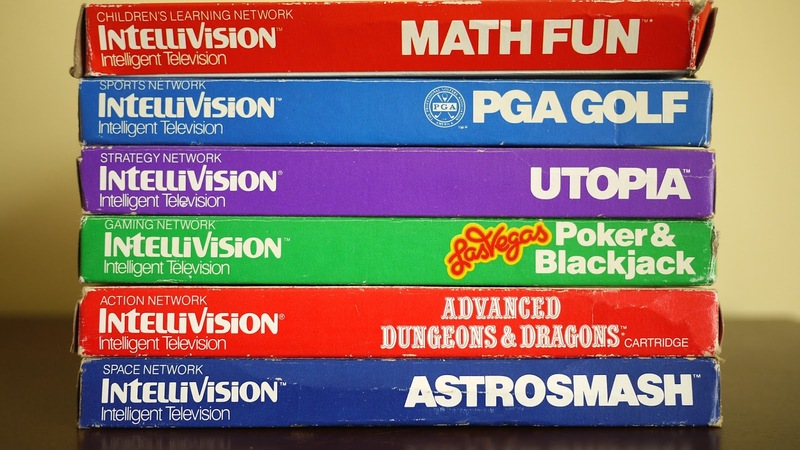 Every month 15 games were available while games would be cycled in and out on a regular basis. When the service was discontinued in 1983 customers were required to return the adapters. PlayCable was very similar to the Sega Channel that Sega launched in 1994 for the Genesis. 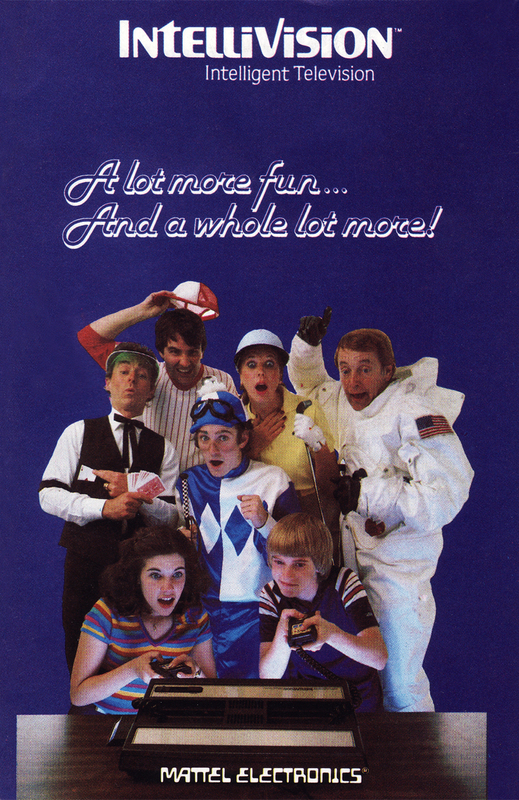 Backside of the PlayCable fold-out pamphlet. In 1984 Mattel closed Mattel Electronics and sold all of the Intellivision assets to a group of investors known as the INTV Corporation. 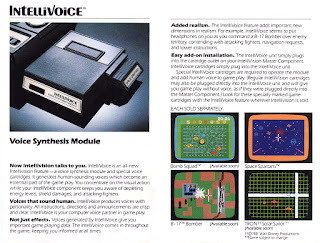 Once inventory of the older units ran out INTV created a new model that looks quite similar in form to the original Intellivision. 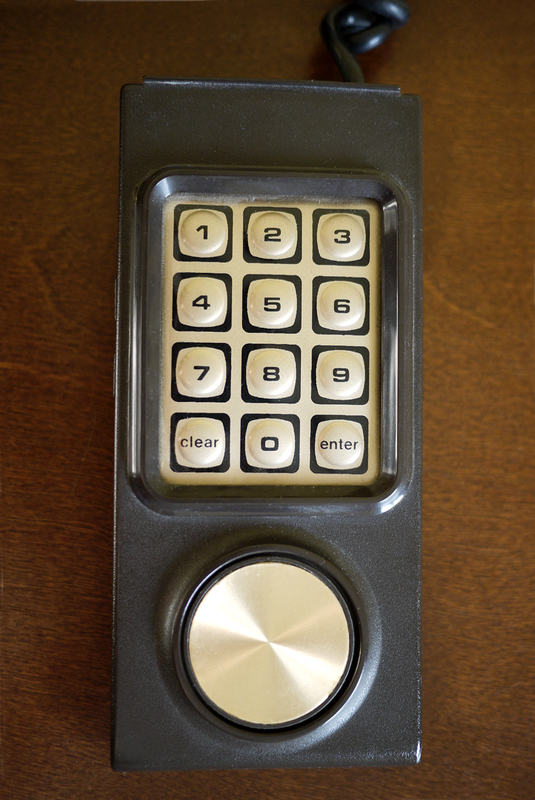 Instead of the bronze highlights it has silver and the keypads are more like the Intellivision II than the original. INTV released the new console in 1986 at a cost of $70, and also sold Mattel's unreleased games and hired programmers to finish some of the previously incomplete games. Of course, during this time the Nintendo Entertainment System hit North America and Sega wasn't far behind. 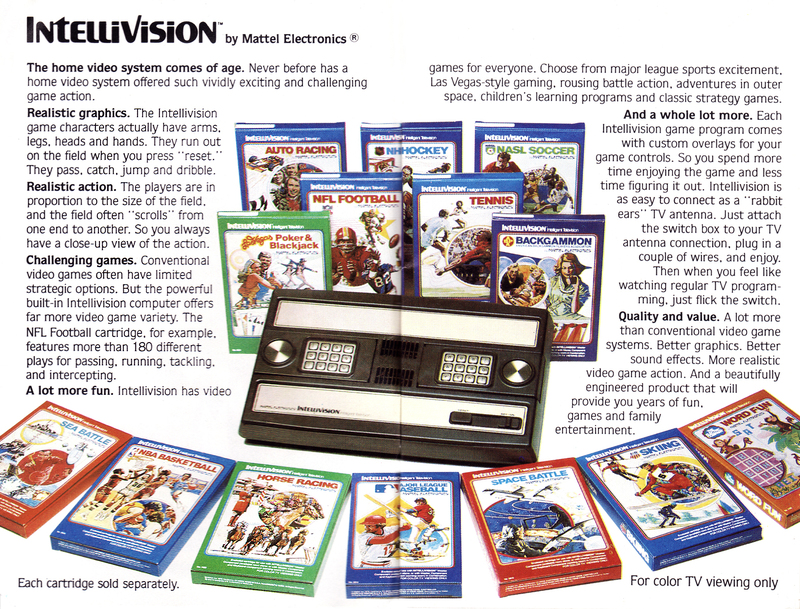 Eventually retail stores dropped the Intellivision forcing INTV to sell products via mail order only. INTV filed for bankruptcy in 1990 and closed in 1991. My parents acquired an Intellivision in 1981 and subscribed to the PlayCable service. 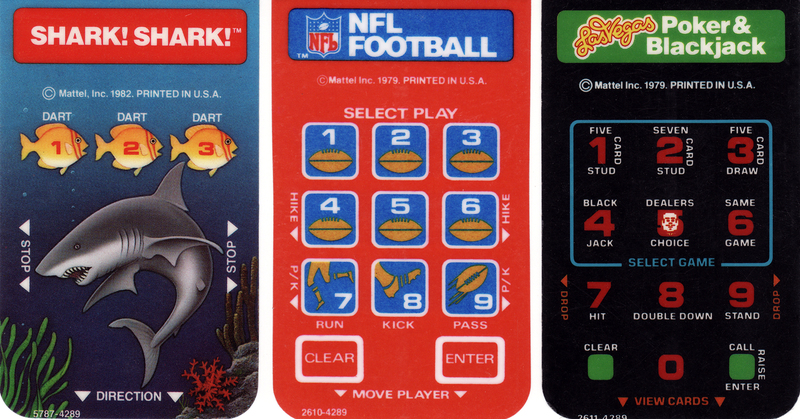 While we had the service the only cartridge we owned was the system's pack-in title Las Vegas Poker & Blackjack. I believe we moved in 1983 before the service ended but either way we found ourselves without any games aside from the bland gambling title. One benefit of moving in 1983 was the great video game crash occurred that year causing game prices to plummet. We got a bunch of games for only a few dollars each at discount stores and today I own 60 of the 125 games that were released between 1979 and 1989. Some of the games I acquired more recently but I do have 48 of them in the original packaging. 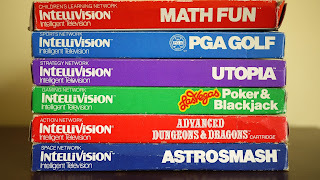 Some of my favorite original games for the Intellivision include Utopia, Advanced Dungeons & Dragons, Sea Battle, and Major League Baseball. 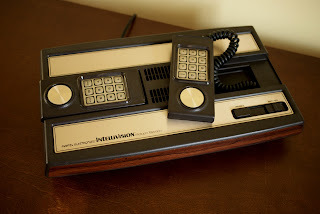 Being my first console the Intellivision holds a special place in my video game collection. 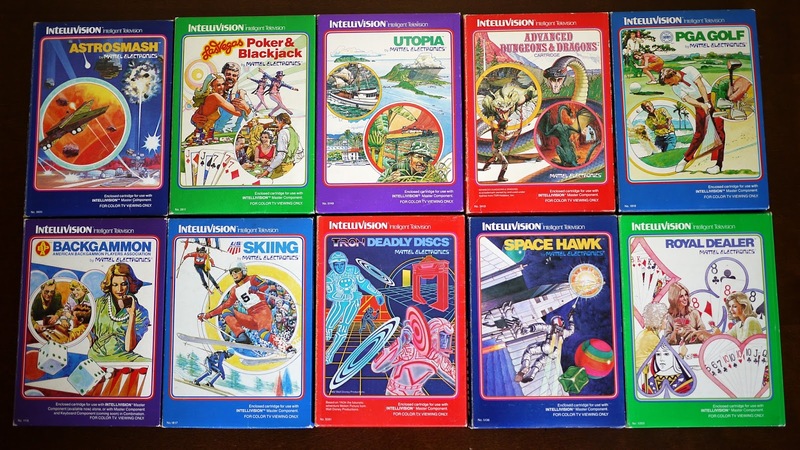 Although I consider the Sega Genesis to be my favorite console, the Intellivision is a close second. It's great to see its history well preserved on the Internet thanks to former Mattel employees known as the Blue Sky Rangers. 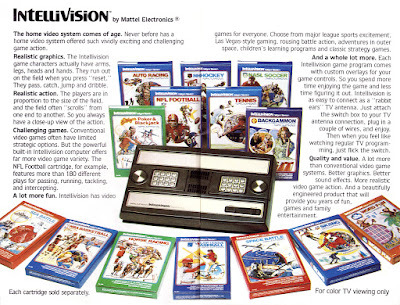 Today all of the information can be found at www.intellivisionlives.com; Intellivision Lives is where I found much of the historical data in this post and where you can read much, much more about the hardware and the games. 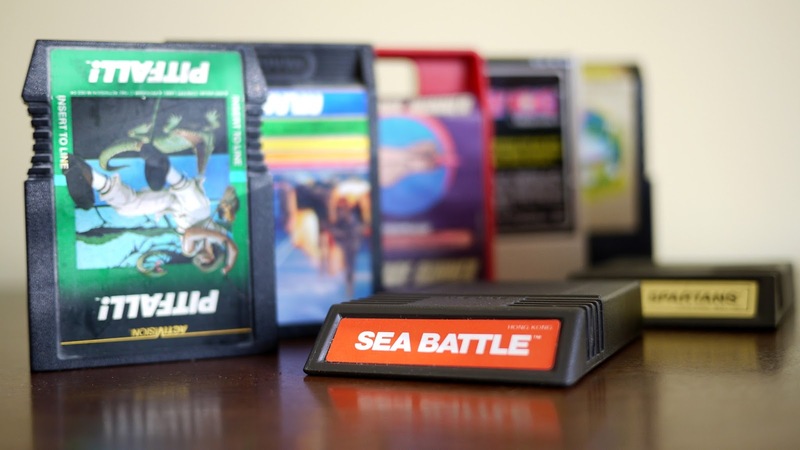 There are a lot of fun facts to be found throughout the website and everything there is a very interesting read if you're a fan of retro gaming. I should point out that the images of the console above are of my Intellivision but I did edit the photos to clean up the controller one disc which is why it looks different in the video. Wow, a PlayCable owner! Very cool, thanks for the great detail and depth. 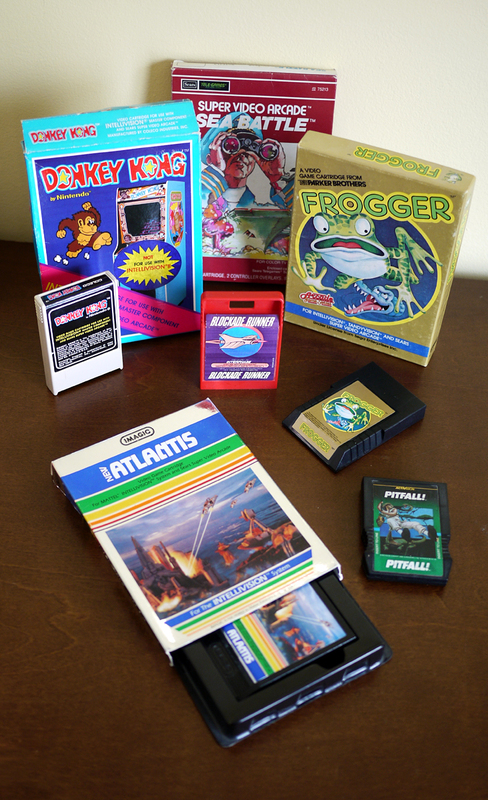 There are many 21st Century releases to play, keep your Intellivision console close by!